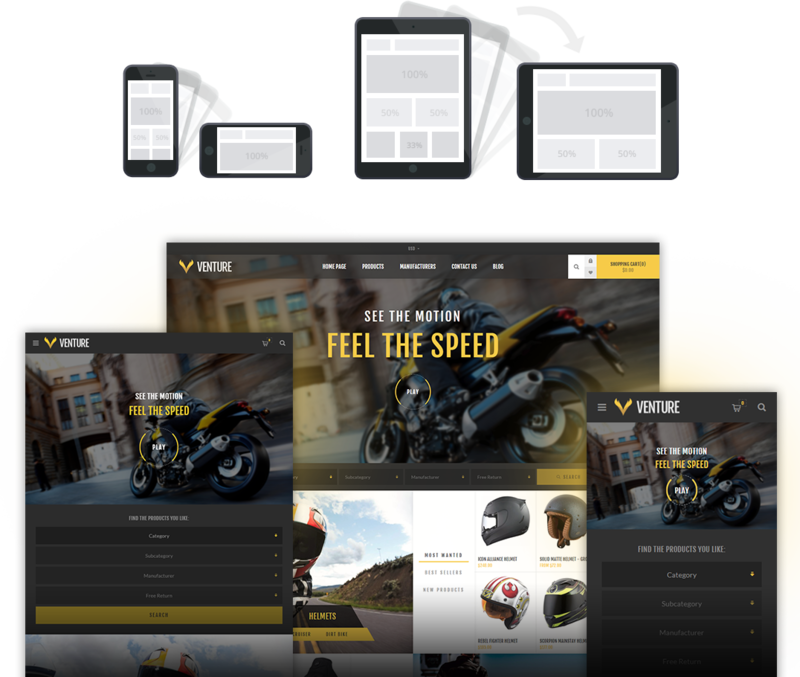 Venture is an ultra-powerful theme that combines top e-commerce functionality with impeccable design. 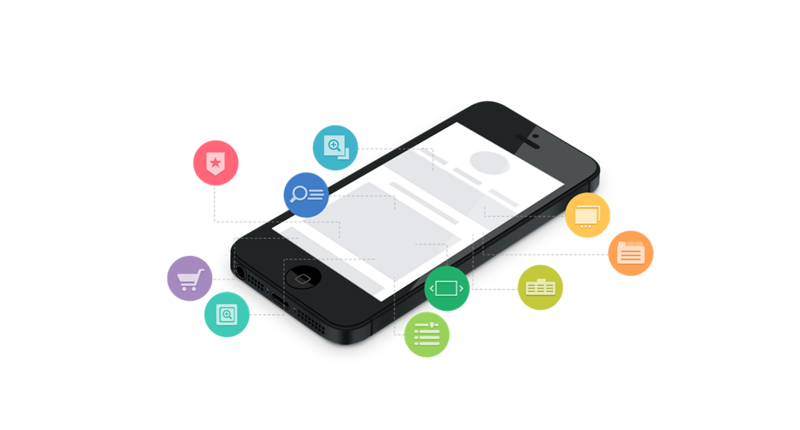 The preliminary homepage filtering, mega navigation, and product collections will guide your customer to the perfect product. The theme comes with a total of 14 plugins, has a Facebook shop integration and is SEO optimized. Which works smoothly on any device. Or select one of the predefined color presets. 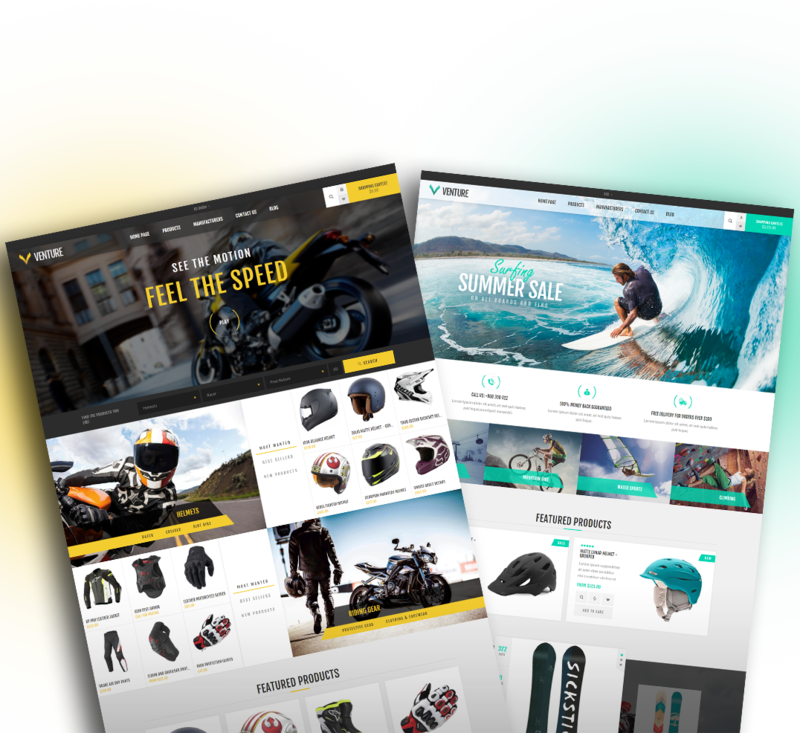 The theme comes with 14 plugins to offer a complete ecommerce solution: Nop Ajax Filters, Nop Anywhere Sliders, Nop JCarousel, Nop Mega Menu, Nop Quick View, Nop Quick Tabs, Nop Ajax Cart, Nop Instant Search, Nop Cloud Zoom, Nop Product Ribbons, Nop Sale of the Day, Nop Rich Blog, Nop Smart Product Collections, Nop Ajax Filters Pro. 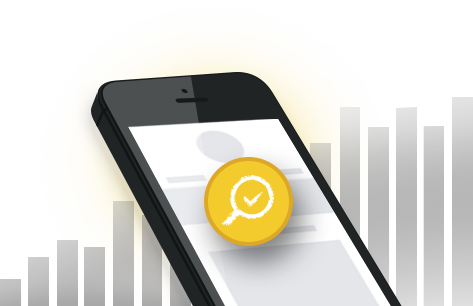 The theme follows all the best practices for SEO-friendly markup and urls. It also includes advanced meta data management and generation based on the ecommerce catalog. The theme has a Facebook Shop integration, which allows you to sell products directly on your Facebook page. Now your customers can browse your catalog and search for the right product right within Facebook. To see a live preview of the Facebook shop for the Nop Venture Theme, click here. 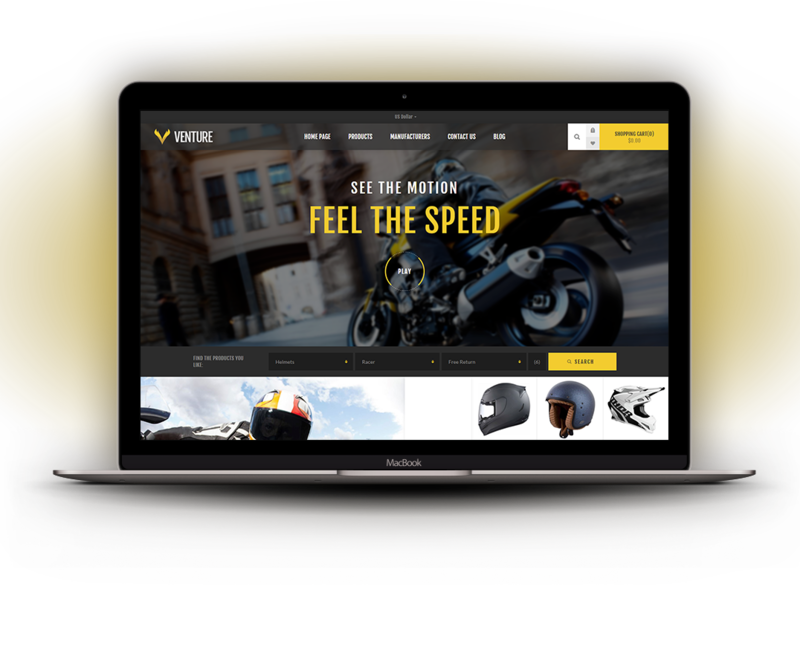 The Nop Ultimate Theme Collection includes a total of 29 premium nopCommerce themes. Each theme in the collection comes with 10 plugins and a multiple domain license. When dealing with the Nopcommerce platform there are a lot cowboy and fly by night companies and developers, here today gone tommorow. NopTemplates is a great stable company and extremely reliable, we ourselves are not very technical we focus more on sales, so it is important to work with companies who give true support and just dont leave you to yourself, in terms of templates there is no better and there plugins are just as great, and best of all they stand behind there product with great support. The best templates available for nopCommerce period. I've been using the Default nopCommerce theme for over a year now, and when I saw the Venture theme, I knew that I wanted it. It has a great look on desktops and mobile platforms and the support to help with making minor visual changes has been great. Overall, totally happy with this theme, and highly recommend it for your store.